May 6th in Wordpress Tips by Wordpress Jedi . AuctionPress: an attractive auction theme for WordPress that ships with 20+ skins and can be used for private and public auctions. It allows bidding on and watching items. It has deposit funds and private messaging systems to make your visitors’ experience on your website more convenient. Google Analytics, Google Maps and Google Webmaster tools are integrated into it. 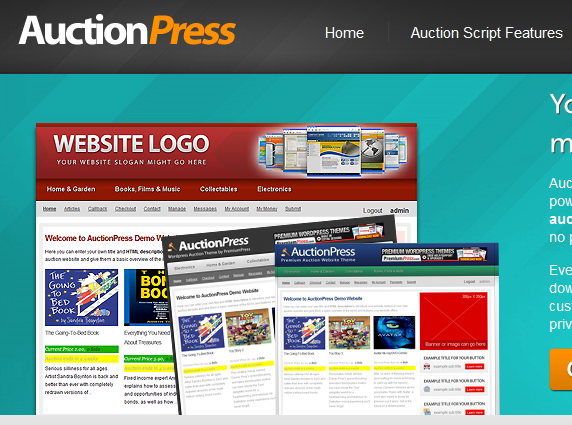 Auction Theme: another cool theme for paid auction websites. It has a credit system which your visitors can take advantage of to buy credits to post their auction listings. It supports multiple currencies and WordPress multi-site. 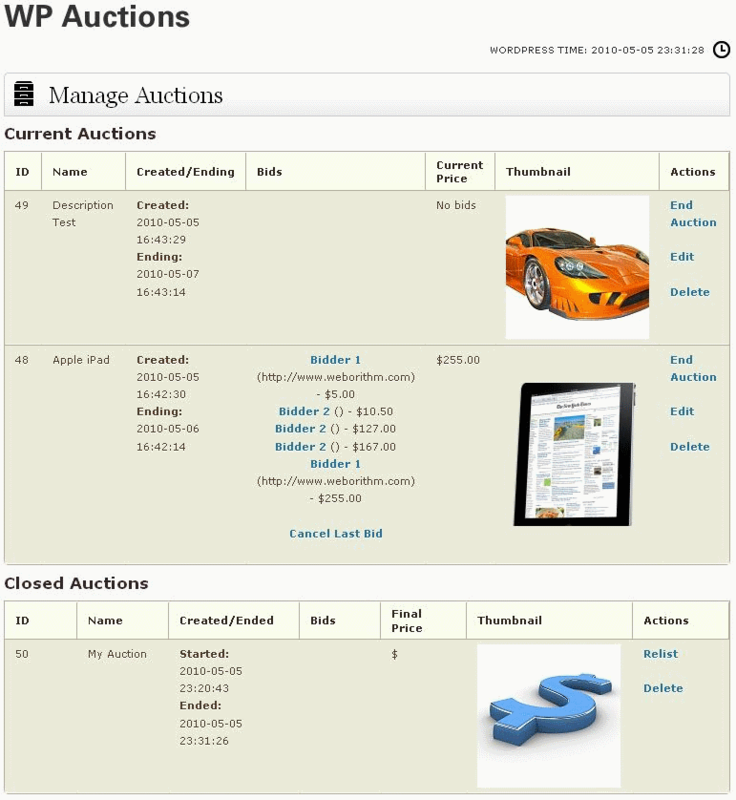 Prospress: a versatile plugin that adds an auction marketplace to your existing theme. It does have a reputation system for your site’s members and has an invoicing system. WP Auctions: an AJAX-enhanced WordPress plugin that helps you to start holding your own auctions on your website without having to worry about auction fees anymore. 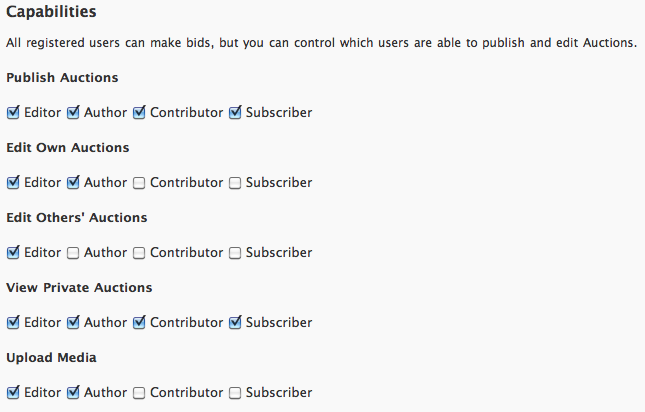 You can use this plugin to auction off advertising space or sell your products. The above plugins won’t make your website an eBay killer, but they do offer you the chance to start your own small auction business.